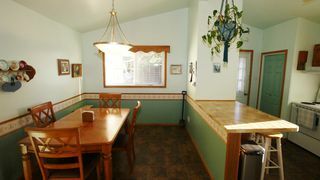 Fantastic value, no bidding wars here! You will fall in love with this gorgeous family home the second you walk through the front door! 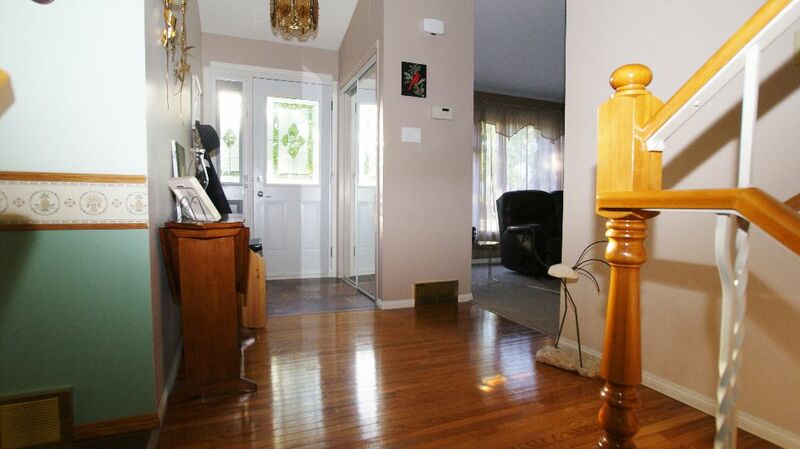 Gleaming hardwood floors up & down in the halls & all 4 bedrooms. 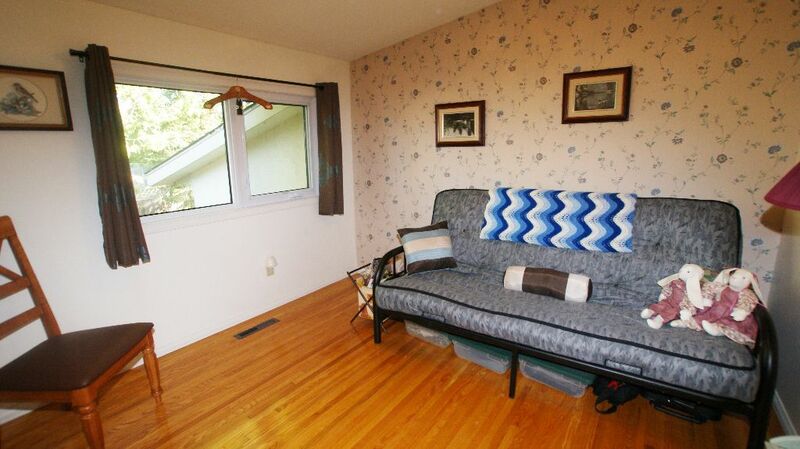 Large living room ft plush carpeting w/vaulted ceiling. 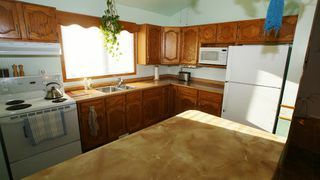 The country sized kitchen has a ton of cupboard & counter space with large island w/breakfast bar, plus spacious dining area. The fridge, stove, dishwasher & hood fan all remain. Upstairs features 2 big bedrooms + full bath, plus the 3rd level features 2 more big bedrooms & the second bath. 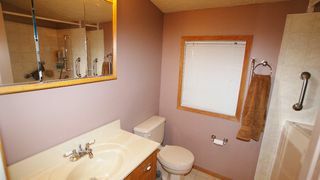 The fully finished basement has a large rec room w/newer carpet, nice sized laundry room + storage room. 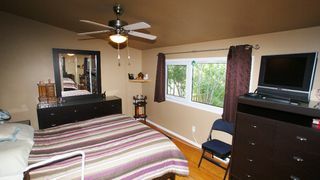 The roof is approximately 5 years old & the majority of the windows have recently been replaced as well as the front door. 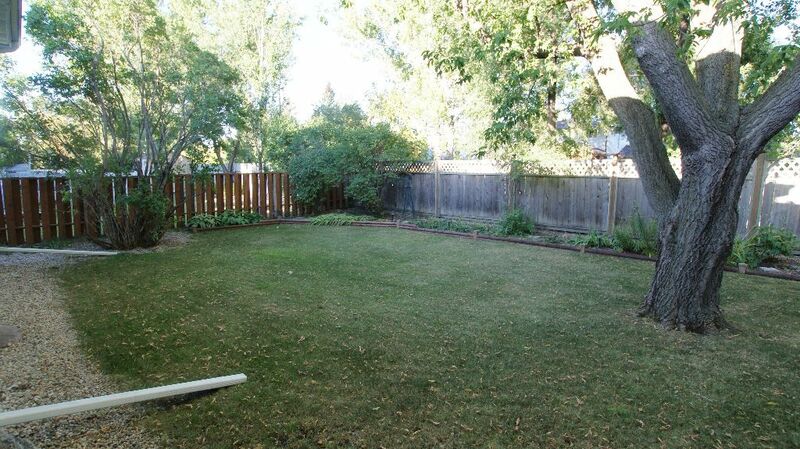 Single attached garage w/extra parking. 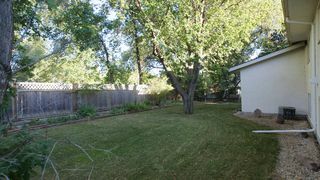 Large fenced yard w/deck & shed + gate to walking path behind. Close to all levels of schools, community centre & shopping! Wonderful family home in a great neighbourhood!